Looking for extra vocabulary practice? 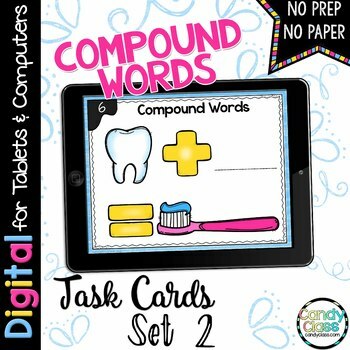 This complete resource includes 12 digital task card sets with a presentation anchor chart at the beginning to teach each concept. It also has answer keys at the end for self-checking. 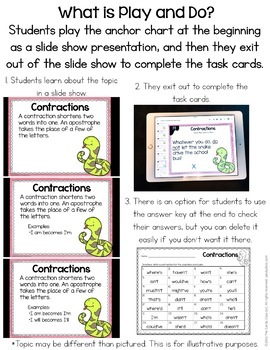 Each vocabulary digital task card set is formatted for Google Classroom use. 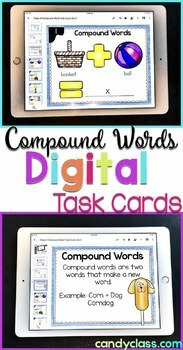 With these digital task cards, students will be solving fun compound word equations. 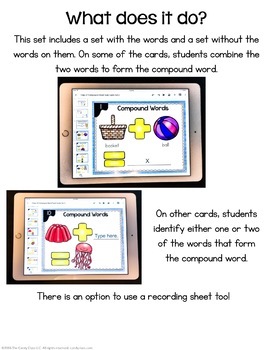 I've also included a bonus set with the compound words on it for differentiating instruction. Additionally, this compound words resource is no prep and ready to use! If using with Google™ Classroom, you can use them completely paperless!